^ 第29張照片，瑞克·艾斯特利與麗娜·鮑莎格 | 第78届奥斯卡金像奖. Digitalhit.com. [22 May 2010]. 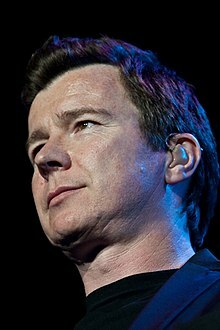 ^ April 1, 2008 Risk Astley and More April Fools Day Goodness（英文） 互联网档案馆的存檔，存档日期2008年4月4日，.